Where to stay in Seville? It’s a common question I hear, given I lived in Seville for many years and travel there frequently for work! I’ve stayed in some of Seville’s most luxurious hotels, and also some of its best budget gems. Luckily, Seville is home to a great (and growing!) selection of hotels, and some of the most charming boutique hotels in the entire country. One piece of advice, however, is to book early in Seville. Its quaint city center fills up fast, and the best deals are definitely found a couple of months in advance. From regal buildings to quaint hidden gems, Seville has it all. The greatest thing about staying in Seville is that just about everything is walkable. Whether staying in the historic city center or across the river in the Triana neighborhood, you really don’t need to rely on public transport or taxis– just bring a pair of comfortable walking shoes! And if you want to go truly local, rent a city bike for a few days, as Seville is one of the best cities in Spain for bike lanes (and it’s super flat!). 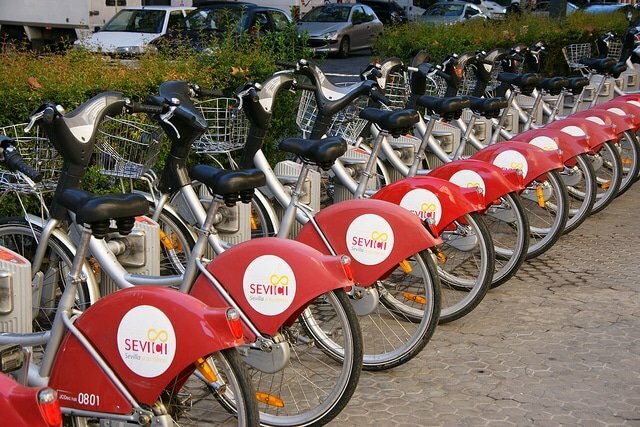 Seville’s public bikes make it easy to get around. Another great thing about staying in Seville is the friendly neighborhood vibe of each of the city’s barrios. There’s the gorgeous white-washed Santa Cruz neighborhood (the old Jewish quarter), the bohemian Alameda area, the shopping haven of central Seville (near Alfalfa Plaza and Salvador Plaza), or the passionate Triana neighborhood across the river, just to name a few popular areas. Whether you are in Seville for one night one month, this guide on where to stay in Seville will help you choose the barrio that suits you best. While Seville’s city center can actually be broken down into smaller neighborhoods, it’s hard to search by barrio when looking for accommodation. When talking about the Seville old town or city center, you’ll usually be referring to the area around the Cathedral, the Plaza Nueva, and the Arenal neighborhood, including the shopping areas of La Alfalfa and Tetuan streets. Seville’s towering cathedral, one of the world’s most beautiful! 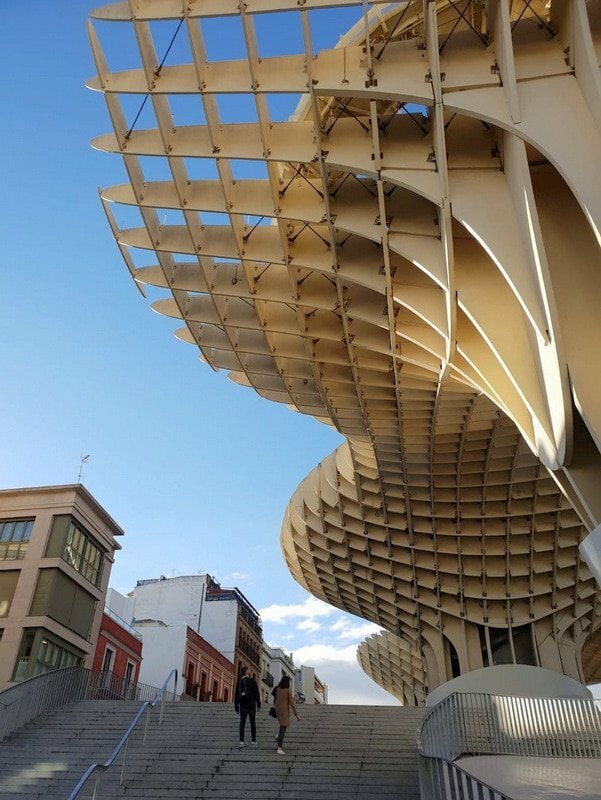 The center of Seville is a bundle of energy and people– from locals eating breakfast in the center’s many bars, to tourists visiting the city’s top sights (many of which are in this area). 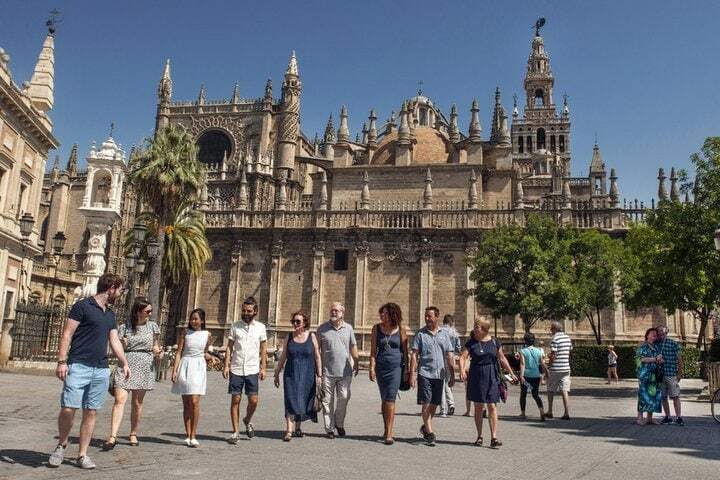 Seville’s beautiful city center is also a great place for a tapeo – the Seville art of going out for tapas. Where to Stay: Seville’s city center is the heart of its luxury hotels and the neighborhood’s many side streets hide a wealth of guest apartments and boutique hotels too. Recommended: The historic Hotel Alfonso XIII is Seville’s most famous place to stay, for something more modern check out the Eme Cathedral Hotel. And for one of Seville’s newest properties don’t miss The Mercer. Where to Eat: When in Seville you must head out for tapas like a local — don’t miss some of the city’s most beloved central spots. 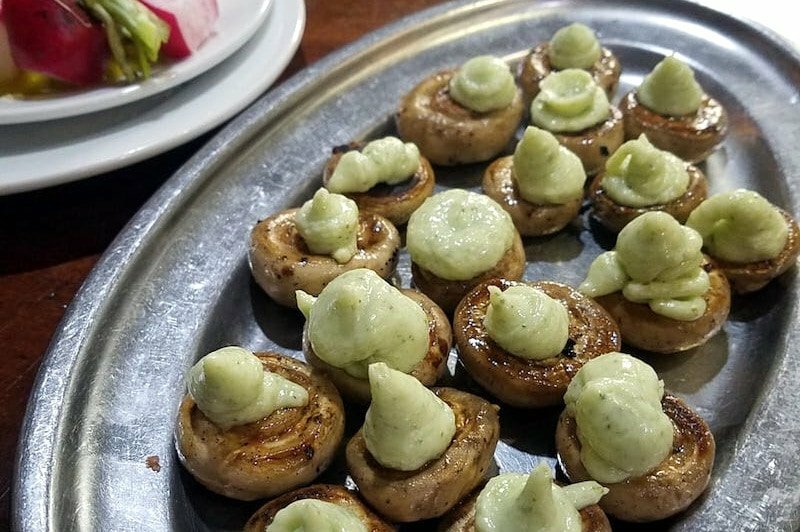 Have traditional tapas at Casa Morales or Enrique Becerra, or try La Mechela for something more gourmet. Insider Tip: To experience Seville’s amazing food and history in one evening experience, try a Tapas, Taverns & History Tour. Seville’s Santa Cruz neighborhood is undoubtedly one of the most picturesque areas to stay in Seville. Think narrow cobblestone streets, charming plazas, and spectacular interior patios that you might be lucky enough to glimpse if a door is left open. While gorgeous, this is also one of Seville’s most touristy neighborhoods, so keep that in mind and consider staying in an interior room, as the streets can be noisy at night. The gorgeous Seville city center. Where to Stay: This is a great neighborhood for both boutique hotels and budget finds. I stay here often because of its great location– next to the center and also close enough to walk from the train station! 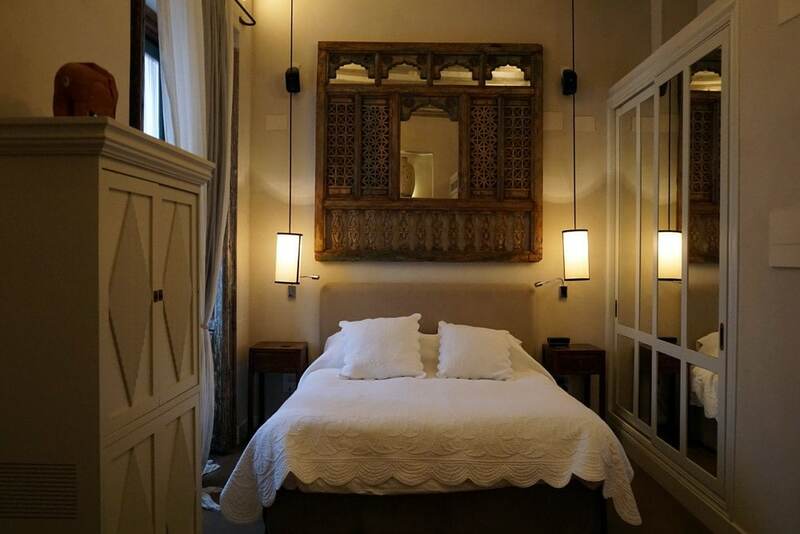 Recommended: The Hotel Corral del Rey is one of my favorite boutique hotels in Spain. I stayed here with my family and we all loved the unique rooms, incredible breakfasts, and wonderful hospitality. For budget, I’ve stayed in the no-frills Hotel Puerta de Sevilla, which has a great rooftop to relax on. Hotel Casa 1800 is another luxurious choice in the area. Where to Eat: This is the neighborhood we usually visit on our Tapas and Flamenco Tour in Seville, and there are some great finds — though also plenty of tourist traps, so do be careful! I love the authentic Bar Las Teresas (famous for its jamón!) and the yummy tapas at Vineria de San Telmo. 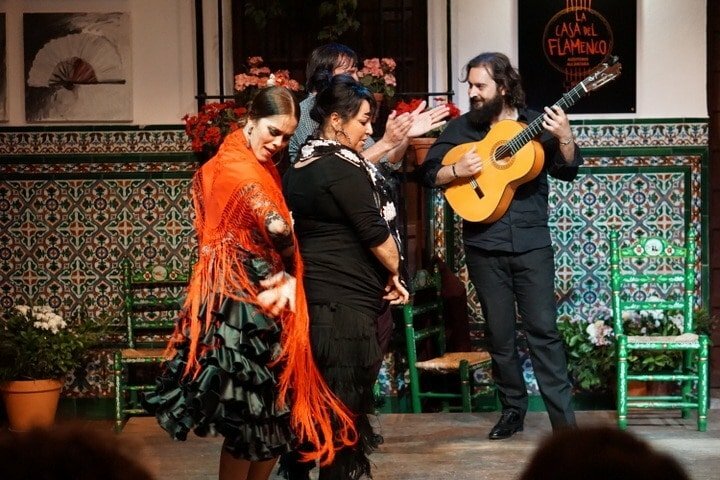 Flamenco in Seville is a must-do. Some may criticize my choice to group these together, but in my mind, these areas connect within about a 10-minute walk and are similar in their quirky vibe. 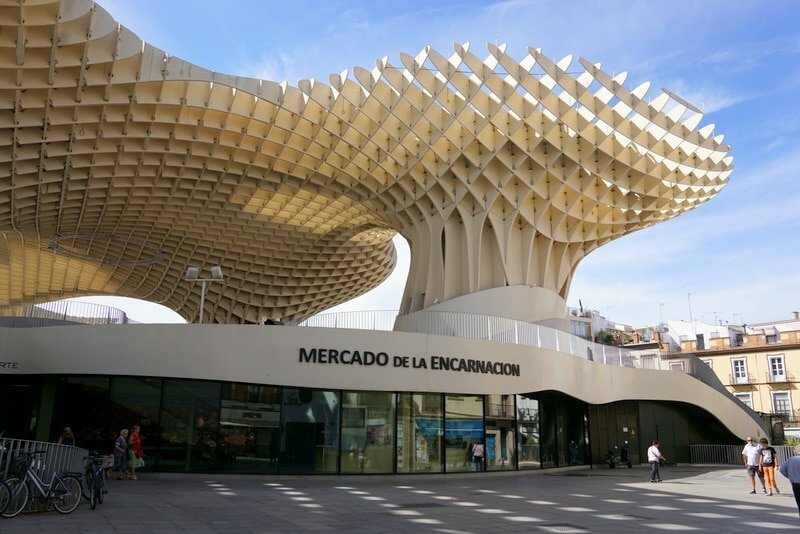 “Las Setas” is the local name for the enormous wooden structure (the largest in the world!) that crowds the Plaza de la Encarnación. 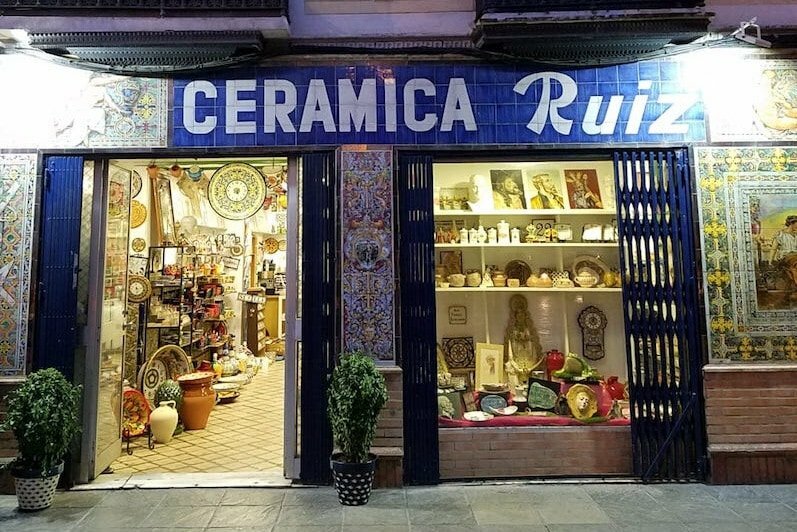 As you walk up picturesque and quirky Calle Regina, you’ll head towards Calle Feria– famous for its Thursday morning flea market. Finally, you’ll wind up in La Alameda de Hercules, a huge rectangular plaza filled with tapas bars, terraces, and evening spots for a drink. 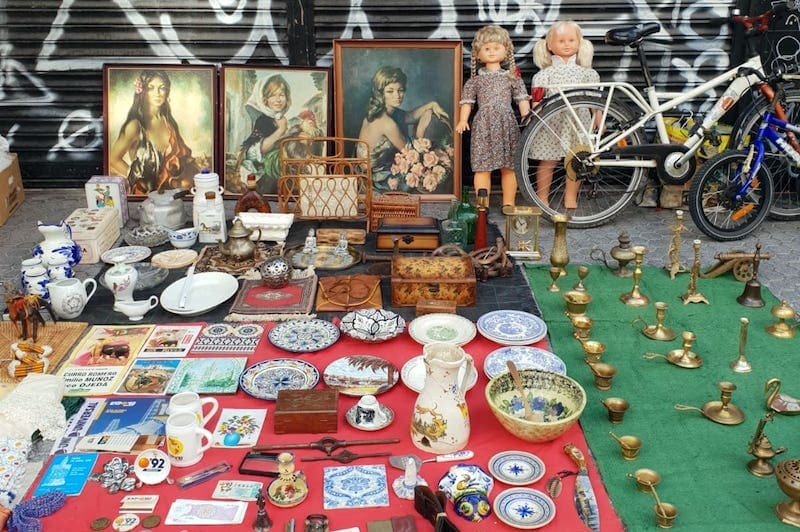 Feria market on Thursday morning – trash or treasure? Where to Stay: This area is filled with great budget hotels and guest apartments. It’s one of the best choices for people who are night owls — if that’s not you the noise from the street could be a bother. Recommended: Book early and snag a deal on one of the gorgeous restored palace houses in this part of town. 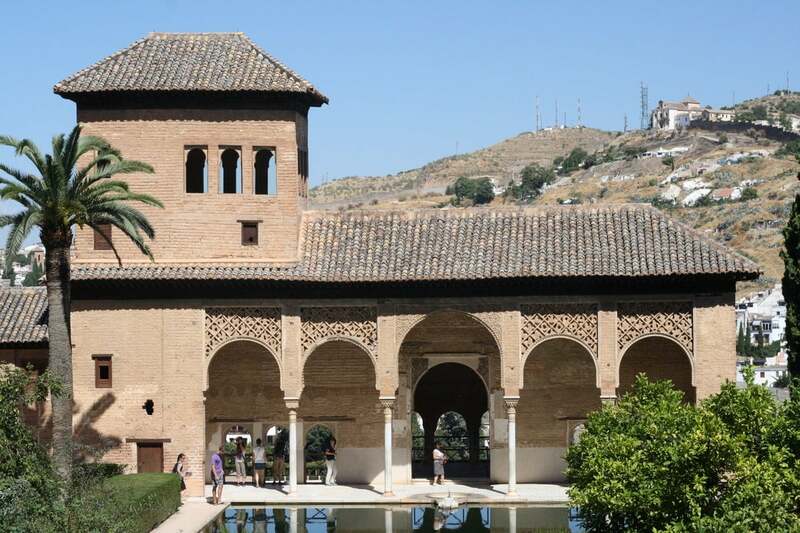 Check out the One Shot Palacio Conde de Torrejón and the gorgeous Sacristia de Santa Ana. 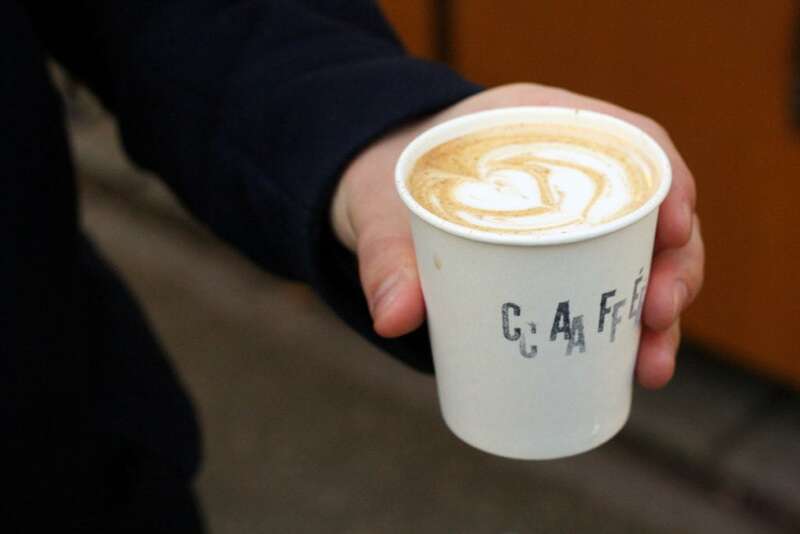 Where to Eat: My favorite coffee in Seville can be found at Virgin Coffee, right near “Las Setas”. For beers with the locals, check out the Feria Market, where you can choose from a variety of market stall for a snack. Where to Drink: La Alameda is the place to soak up the sun on weekends. People will crowd the terraces from the early hours to drink small beers and later (after lunch) move on to the gin and tonics. Cross the picturesque Triana Bridge to visit the other side of the river — where the locals say they feel first “Trianero” then “Sevillano”. 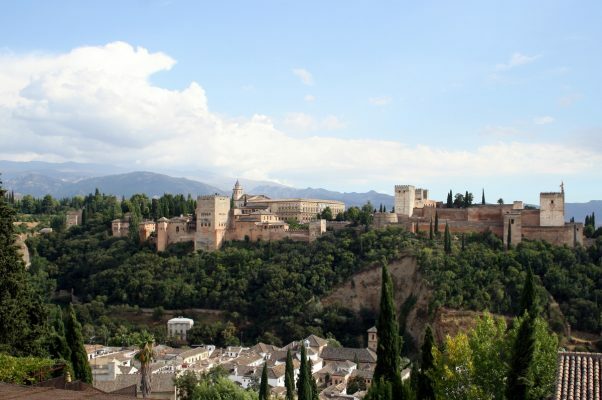 This means passionate people, great food, and longtime traditions such as ceramics and flamenco. 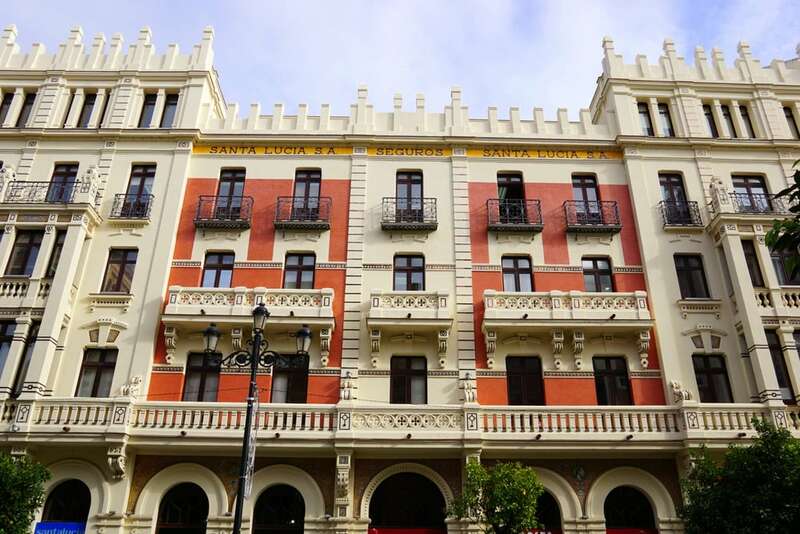 The Triana neighborhood is a great place to stay if you don’t want to be quite as central. I love the gorgeous Triana Market and one of my favorite tapas bars in town (Las Golondrinas) is here. Don’t miss Las Golondrinas, one of the best bars in the area! Top Tip: Visit Triana’s best tapas bars and hidden corners on Devour Seville’s Triana Tapas Tour. 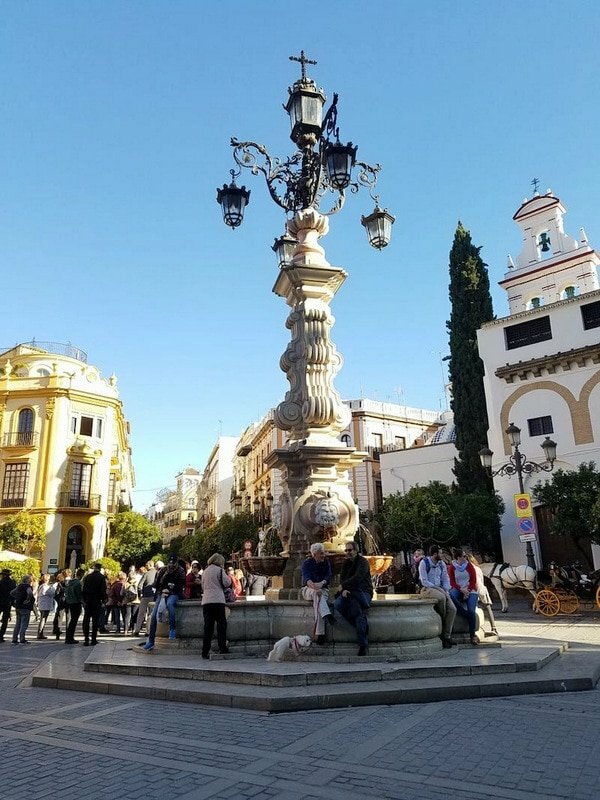 Where to Stay: Triana is the place to live like a local and that means renting a nice tourist apartment where you can make good use of the local market! Recommended: If taking a chance on an apartment isn’t your thing, you can’t go wrong with Zenit Sevilla and its fantastic rooftop views! 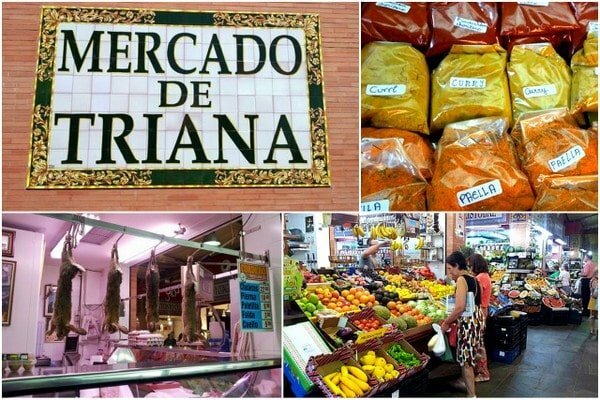 Where to Eat: You must visit the Triana Market where you’ll find the best ingredients but also plenty of local bars and restaurants. 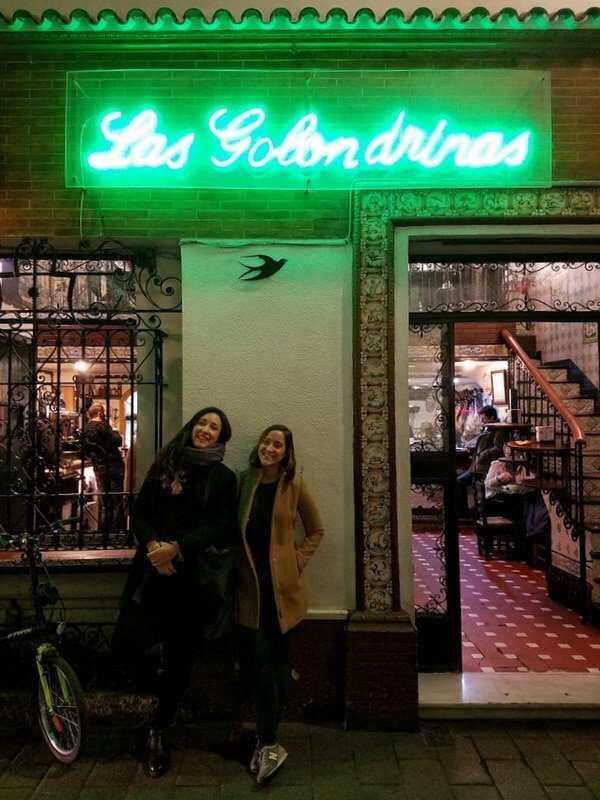 For tapas, don’t miss Bar Las Golondrinas, one of the best and most classic spots in town. Stroll Calle Betis – but perhaps give it a pass (it’s a bit touristy and many places are aimed at students). The Triana Market is one of my favorites. Do you have a great suggestion for where to stay in Seville? 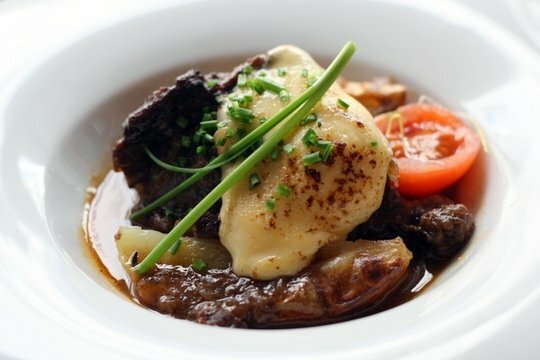 Any amazing local gems that we missed? We’d love to hear about your discoveries in the comments!